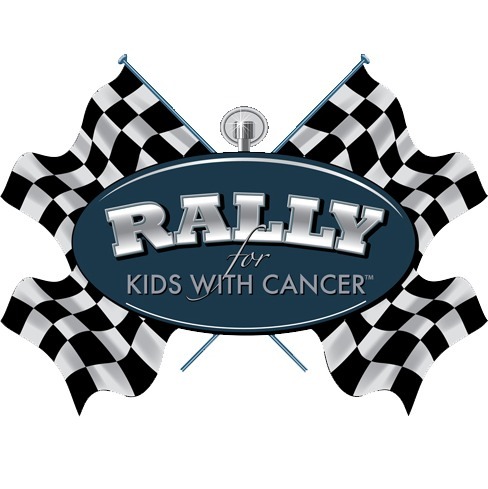 The eighth annual Rally for Kids with Cancer Scavenger Cup will be held September 18 and 19, 2015 in Toronto in support of pediatric cancer research, treatment and care for The Hospital for Sick Children (SickKids), announced Event Chairman Bobby Genovese, Chairman BG Capital Group and BG Signature. SickKids is one of the top children’s hospitals in the world; renowned for its world-class patient care, research, education and advocacy. Through donor support, SickKids has become a charity that strategically invests in research and training programs that have the potential to improve the health of children across Canada and around the world. Cancer is the most common cause of disease-related death among Canadian children, and the rate of occurrence continues to rise. This world-renowned place of research, healing and hope, sees approximately 360 new cancer patients each year. All Rally participants and celebrities share the SickKids vision: Healthier Children, A Better World. Confirmed celebrity navigators for this year include: Billy Baldwin – Actor, Gossip Girl, Hawaii Five-0, The Squid and the Whale, Backdraft; Daniel Jacobs – boxer and is the current WBA Middleweight champion; Hill Harper – Actor, CSI: NY; ; Jes Macallan – Actress, Mistresses; John Salley – NBA Champion, Wellness Advocate and Talk Show Host; Jodi Lyn O’Keefe – Actress, The Vampire Diaries, Two and a Half Men, Nash Bridges; Kim Coates – Actor, Sons of Anarchy; Leo Stakos – Host Fish TV; Lyriq Bent – Actor, Rookie Blue, The Book of Negroes; Mark Boone- Actor, Sons of Anarchy, Batman Begins, Se7en; Mira Sorvino- Academy Award and Golden Globe actress- Woody Allen’s Mighty Aphrodite, Stalker; Omar Benson Miller – Actor, Ballers, CSI Miami; Pooch Hall – Actor, Ray Donovan, The Game, Jumping the Broom; Rick Fox -Actor, Producer, TV Personality & NBA Champion, with more to be confirmed. Car enthusiasts and philanthropists who participate as drivers must raise a minimum of $25,000 each, to enter their car and draft a Celebrity Navigator. Fuelled by an extraordinary schedule of events and exclusive pit stops, Rally Drivers and Celebrity Navigators embark on a journey of a lifetime. The Rally for Kids with Cancer Scavenger Cup kicks off with “The Qualifiers” Celebrity Draft Party on September 18 at Muzik, located at 15 Saskatchewan Rd, Toronto, ON, in Toronto. This cocktail reception provides Rally Drivers with the opportunity to meet and recruit their desired Celebrity Navigator, along with scrumptious food provided by local area restaurants. The premium drafting positions will be determined based on the amount of dollars fundraised. On September 19, the “Start Your Engines” Brunch takes place at the Ritz-Carlton, located at 181 Wellington Street West in Toronto. Adrenaline will be running high as Car Rally Drivers and Celebrity Navigators get ready for the checkered flag to wave. A delicious brunch will be served before participants set out on an adventure that will challenge, entertain and inspire. Fuelled by an extraordinary schedule of Pit Stops at some of the most renowned establishments and venues in the city, Car Rally Drivers and Celebrity Navigators will embark on a journey led from one clue to the next. Along the way, participants will interact with some of the most unique and inspiring children. The final destination of the Rally is “The Winner’s Circle” a star-studded gala dinner at the Ritz-Carlton – 181 Wellington Street West. Rally drivers, celebrities, sponsors and invited guests will revel in their memories from the past two days while enjoying an incredible dinner and award-winning entertainment, with live auction prizes and the Scavenger Cup awards ceremony.